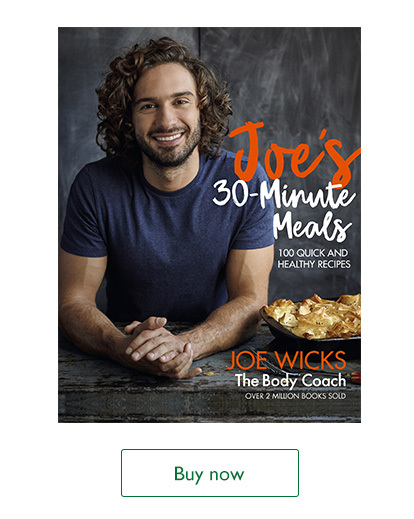 Multi-million best selling author, Joe Wicks, returns with his sixth book, 30-Minute Meals, to inspire people to cook simple, quick and healthy recipes that will help them feel great. Below, Joe shares 3 of the recipes with Waitrose & Partners for you to cook at home. Joe Wicks has been teaching the world how to cook easy, simple and tasty food ever since his debut book 'Lean in 15' shot straight to Number 1 in 2016, becoming the second best selling cookbook of all time. But sometimes, 15 minutes just isn’t enough time! Joe's 30-Minute Meals still keeps it simple with minimal prep time, but long-term nutritional success comes from a varied diet, so the new book introduces baking, along with casseroles and a selection of roasts. The meals in the book are designed to inspire everyone - from busy parents looking to liven up the family evening meals, individuals looking to improve their cooking skills as well as anyone who loves simple, delicious, fresh home-cooked food. Meal preparation is the key to Joe's ethos of staying Lean and Joe's 30-Minute Meals makes prepping like a boss even easier, with his full list of store cupboard essentials as well as fresh and frozen basics. Joe’s 30-Minute Meals are packed with everyday healthy dishes that you'll want to make, time and time again. When I started to try to create healthy meals, I didn’t even know how to cook an egg properly or which flavours went well together, but it’s amazing how much you can learn when it comes to cooking techniques and understanding flavours.